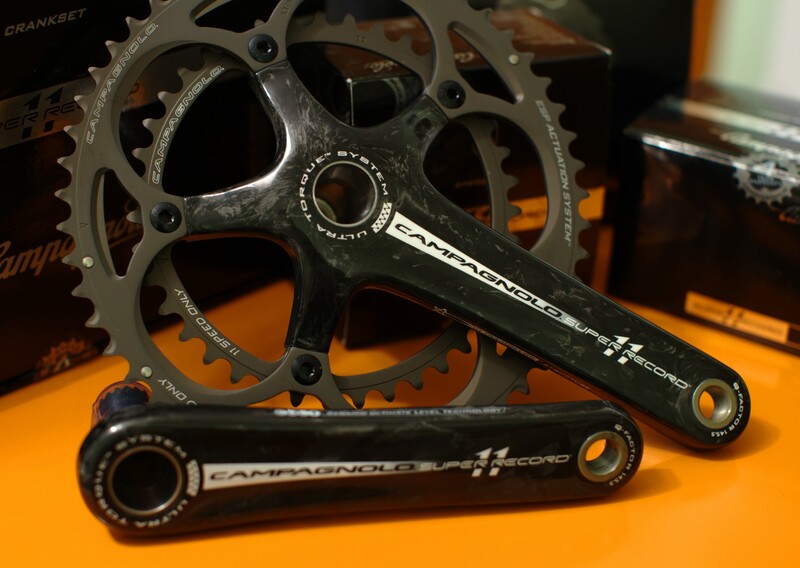 635 Gram 170mm Campagnolo Super Record crankset. What's even more striking than its weight, is some of the technology used. The bottom bracket for example, uses grease-less ceramic ball bearings. To further reduce weight, Campagnolo made all of the pieces hallow. To aid in strength, the axle mating surfaces are saw-toothed to increase surface area for increased load handling. All these features do not come at no cost though. In addition to the literal cost, the Super Record crankset comes with some very tight tolerances. If the bottom bracket shell is any larger than 68mm the two piece crankset will slop around in the shell damaging everything from itself to the front derailleur. If the shell is narrower than 68mm, the teeth that join the two halves will not fully mesh resulting in rapid wear and lack of stiffness. Because of this, the instructions are very clear that the bottom bracket shell needs to be faced. 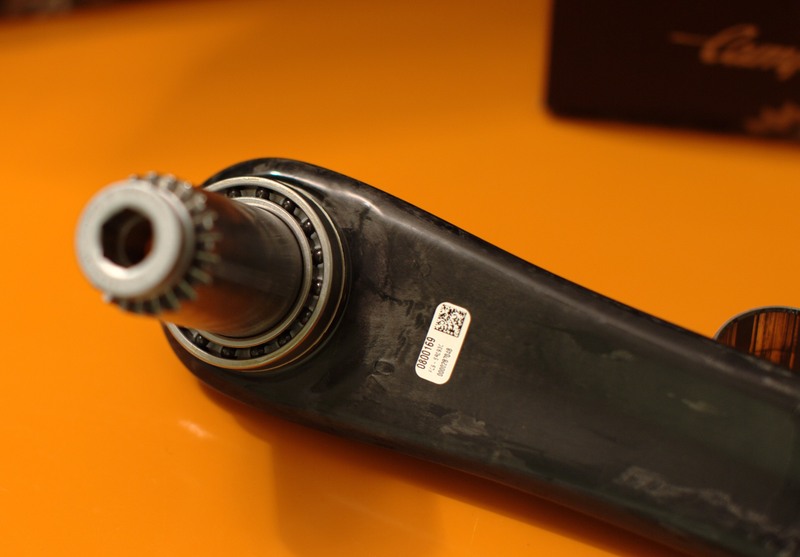 With potential issues lurking with graphite/carbon fiber frames, we advise you have your frame measured and checked before investing in this crank. It is much less forgiving to sloppy tolerances. 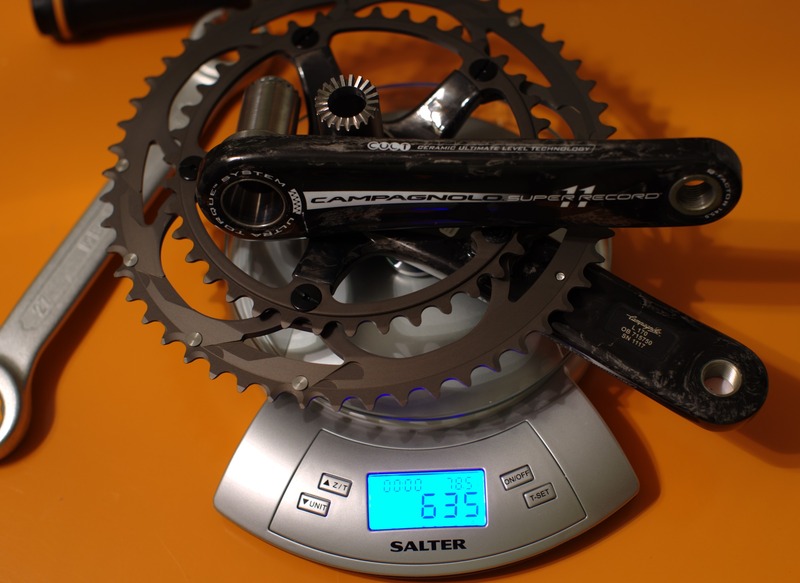 635 grams for the crankset and bearings, and another 41 for the cups brought the total weight up to 676 grams. Below you can see the ceramic ball bearings. Worth noting is that we orginally planned to use an Easton EC90 crankset with the FSA 11 speed rings. We ended up going this route to assure the bike qualified for Campy's outstanding for year warranty. With special tools like the CN300 chain tool needed to work on the 11s Campy groups, it is advised to leave the major overhauls and installations to your local shop. 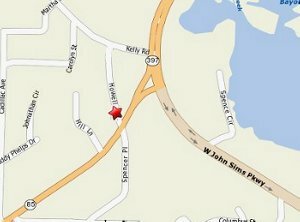 If you are in the Niceville/Fort Walton Beach Florida area, Alpine Bicycles can get you set up fast and quickly the first time.